Stage 1 –Value your own property. If you have your own property to sell you need to take professional advice from a licensed estate agent (like ourselves). Please click here to arrange a valuation. Before you start house-hunting, it’s a good idea to work out what you can afford to spend on buying a house or a flat and your monthly mortgage payments. Property prices across Essex are amongst the highest in the UK, so it makes sense to be clear about your budget. Consider how you will cope if your financial situation changes, or interest rates rise, and be careful not to overstretch yourself. Remember your savings will have to cover not just the deposit, but expenses such as mortgage fees (typically anything between £0-£2000) and Stamp Duty on properties costing more than £125,000. How much can you afford to borrow? Find out the costs you should take into account. It helps to know more about what to look for in a property in order to avoid costly mistakes. It’s never too early for you to start thinking about arranging a mortgage as this can be time-consuming. You can get mortgage advice from an Independent Financial Adviser (IFA), mortgage broker or lender. Our financial consultant, Simon Jones, is available on 01702 555888 for a 'no-obligation' chat. Once you have found a mortgage, you can obtain a mortgage ‘in principle’. This tells you how much money the lender is likely to offer and the interest rate you will pay. You may have to pay a booking fee to reserve the mortgage product you want. Typical cost: £99-£250. Before you apply for a mortgage, check your credit report for any errors and to get an idea of your score. Lenders will look at it when considering your application. Once you’ve found a home you want to buy, the next step is to make an offer, through the estate agent. The solicitor will handle the legal work around the property and the surveyor will survey the property to check for problems, which might impact on the cost of the home. 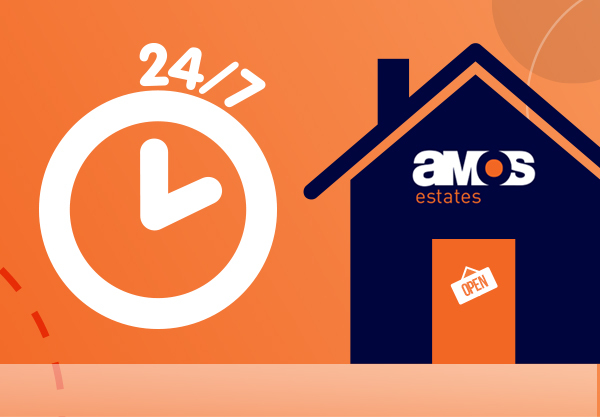 Amos Estates are able to reccomend efficient local Solicitors. Your solicitor submits searches to the local council to check whether there are any planning or local issues which might affect the property’s value. Typical cost: £250-£300. This is carried out by the mortgage lender to make sure the property is worth the price you’re paying before they approve the mortgage. It is not an extensive survey and will not identify all the repairs or maintenance that might be needed. Typical cost: Free-£1,500 depending on the value of property and the lender. Some lenders may not charge you for this, depending on the type of mortgage product you select, however you can have a more in depth survey details below..
RICS Condition Report – basic ‘traffic light’ survey and the cheapest. It is most suitable for new-build and conventional homes in good condition. No advice or valuation is provided in this survey. Cost: £250 approx. RICS Homebuyer report – suitable for conventional properties in reasonable condition. This is a much more detailed survey, looking thoroughly inside and outside a property. It also includes a valuation. Typical cost: £400+.approx. Building or structural survey - the most comprehensive survey and suitable for all residential properties. It’s particularly good for older homes or homes that may need repairs. Typical cost: £600+.approx. Note: You should commission a survey on the property to help you avoid hidden costly problems further down the line, although expensive bear in mind, it will be your property, so it’s in your interest to pay for a decent survey at this stage. It can also help you to renegotiate the price. For example, if the survey reveals a problem with the home that will need £5,000 to pay for repairs, you could ask the seller to re-negotiate some or all of the cost. If everything has gone according to plan, contact your lender or mortgage adviser to proceed. There is often a fee, usually called an arrangement fee, to set up the mortgage. This can be added to your mortgage, but if you choose this option bear in mind you’ll pay interest on it for the length of the mortgage. Typical cost: £0-£2,000. Your mortgage lender must give you at least 7 days, once a binding mortgage offer has been made to think about if this is the right mortgage for you. You can use this time to compare this offer with other mortgages. If you’re sure that this is the right mortgage for you, you can let them know sooner that you want to go ahead. It is better to pull out rather than risk buying a property which may cost you more than you can afford in the long run. If you decide not to buy, you can pull out and cancel your mortgage application before you have exchanged contracts but you may lose some of your money depending on how advanced you are in the process. If there are no problems or delays, then you should receive the contract to sign and agree a date to complete the sale. Before signing the contract, go through it with your solicitor to check that all the details are correct. Make sure you are happy with what the sellers have agreed to leave in the property and that all your queries have been answered. 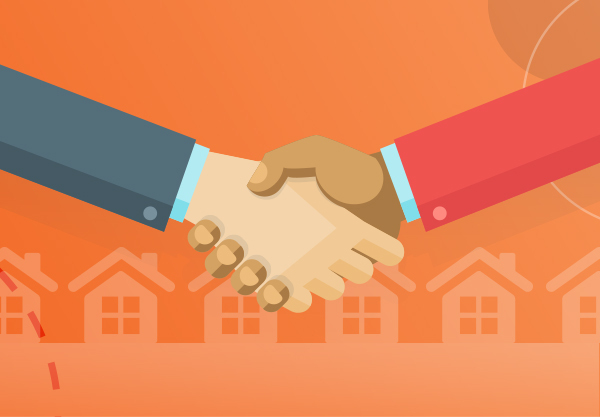 At this stage, you and the seller are committed to the sale. You may also be asked by the seller solicitor to pay a deposit – typically 5 to 10% of the purchase price to show serious intent. Once you’ve exchanged contracts you are legally bound to complete on the property and will need buildings insurance in place to cover the structure of the property. The remaining money owed to buy the property is now transferred from your solicitor’s account to the seller’s solicitor’s account. Since some of the money comes from the mortgage provider there will be a Telegraphic Transfer Fee. Typical cost: £25-£50 approx. You may also have to pay a mortgage account fee. This fee is charged by the lender for setting up, maintaining and closing down your mortgage account. It is often added to the mortgage, which means you’ll pay interest on it, so consider paying it up front instead. Cost: £100-£300 approx. You’ll now need to pay your solicitor’s bill (minus the deposit and local searches if you’ve already paid them). Typical cost: £500-£1,500 + VAT. Your solicitor will register the sale with the Land Registry for properties in England and Wales. In Northern Ireland it needs to be registered with Land and Property Services and in Scotland with Registers of Scotland. Sellers will need to pay their estate agent on completion. The fee is agreed at the outset and is typically a percentage of the purchase price, usually 1% to 3% of the sale price plus VAT. Buyers don’t have any estate agent fees. Buyers of residential homes costing over £125,000 have 30 days from the completion date to pay Stamp Duty. Your solicitor will usually arrange this for you. If you’re using a removal company, moving on a weekday is cheaper. Typical cost: £300-£600+. If you’re purchasing an additional home or a buy-to-let property (in addition to your own property), you’ll have to pay an extra 3% (on everything over £40,000). For Estate Agents in Essex with local knowledge about buying a property and a commitment to our community choose Amos Estates. Contact us now for more information. We can help you find the best possible deal. Arrange a meeting with our in-house, fully independent mortgage broker today.